In the first six months of the year, Hoffmann Neopac received four packaging awards. For the Twist'n'use™ tube with smooth nozzle tip we won the Pharmapack Award 2016, together with Elanco. 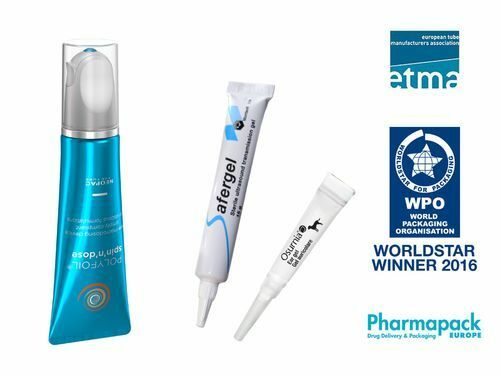 In May, the Twist'n'use™ tube with a two-wing cap for Safergel received a World Star Award 2016. In early June, a jury from the ETMA awarded Polywood tubes and the Spin'n'dose™ as Tube of the Year 2016. Polywood is a polyethylene tube made from wooden material, involving all the senses. Spin'n'dose™ is a new system which precisely doses viscous contents and allows for controlled application.